Last time when Peiyue came back from Philippines, she asked me where is The Red Beanbag, I told her it's at Publika and we promised to visit the place when she come back again. 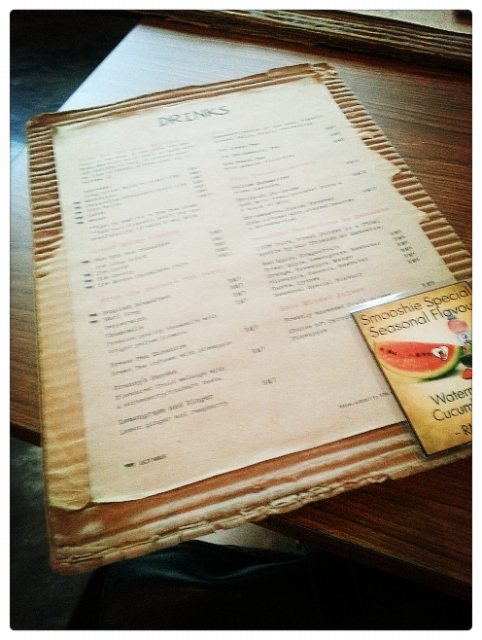 Yes, we did fulfill our promises and finally visited the cozy lil restaurant cafe few days ago. 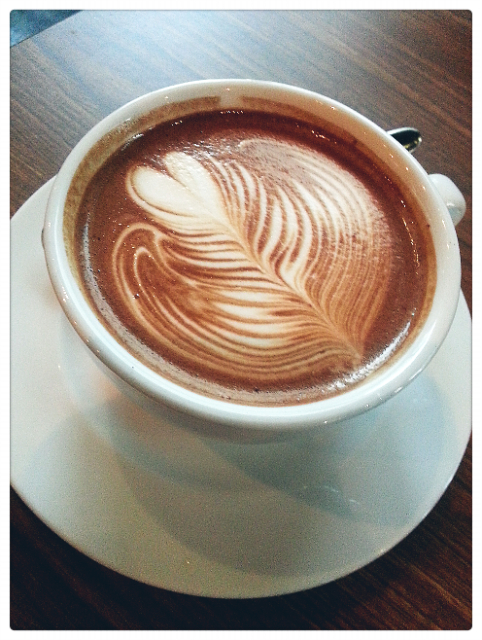 It was located not inside the main building of Publika, but at the Block A, above Dr. Cafe. We reach there late afternoon, and we haven't had anything for lunch yet but too bad, the kitchen was closed from 4pm - 6pm, so we're having our meal in a backwards sequence. Coffee → Desserts → Main Course → Appetizers. lol. The interior is full of wood elements and the lights were dim, cozy place, perfect for some small gatherings with friends. 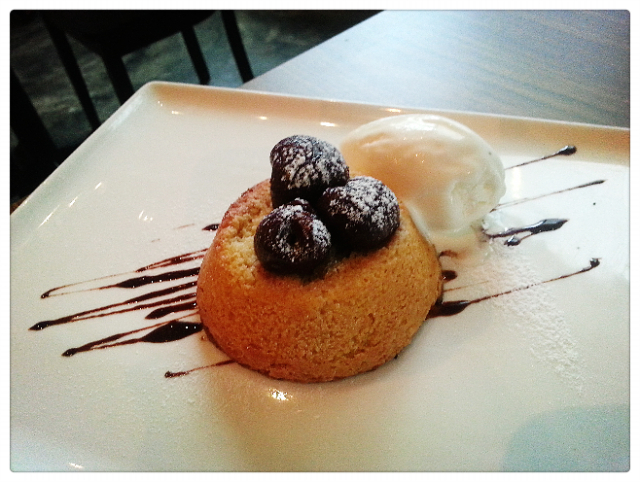 As I mentioned above, by the time we reach the kitchen was closed, I wanted something to fill my tummy before gastric strikes, so we ordered dessert, the RBB(Red Beanbag) recommended one of course - Cherrie Tart with Vanilla Ice Cream. It was so oh-my-god delicious!!! The cherrie tart was warm and tasteful, pair with the creamy vanilla ice cream, it was one of the nicest dessert I've had recently! 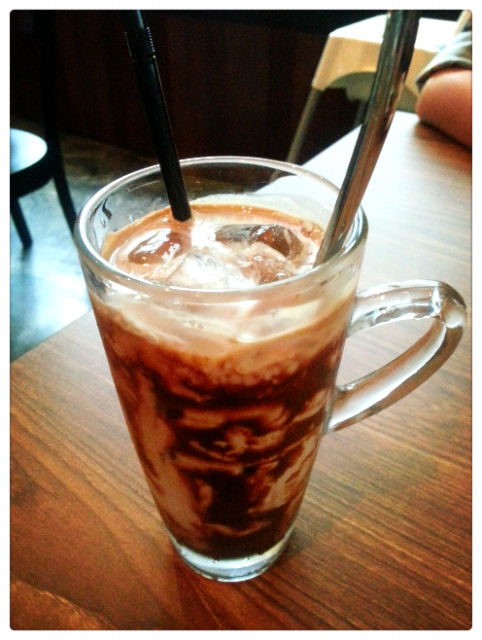 I ordered Icy Mocha Chocolate Yaya and Peiyue's was hot Mocha. I was kinda disappointed when my Mocha Chocolate turned out to be so much bitter, a bit different than the Mocha Chocolate I had at other cafe. When I consult one of their waiter bout the drinks bitterness, they said the bitterness was normal, don't compare their Mocha with Nescafe ones as Nescafe ones are fake. I was like: Huh!? I don't drink Nescafe's Mocha… lol. So I kept silent and asked for sugar syrup, find their remarks a bit funny. Anyway, we waited till their kitchen open for operation and ordered our appetizers. As usual, I opted for RBB's recommended - Creamy Wild Mushroom Soup and Fowl Luck while Peiyue opted for Chicken burger which I forgot the name. 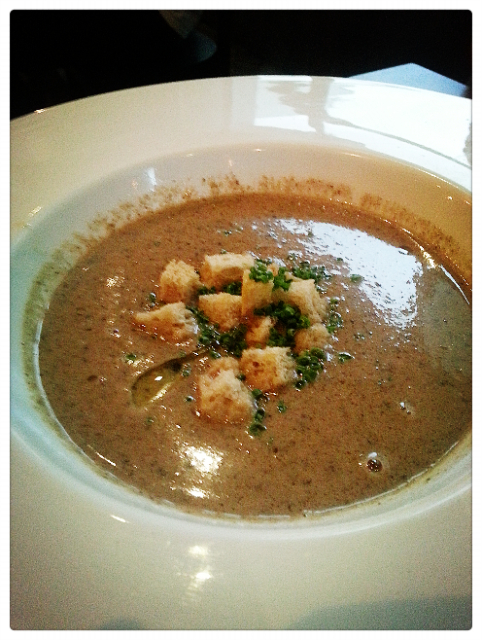 RBB have one of the most delicious mushroom soup in town and the Fowl Luck was superbly delicious as well. 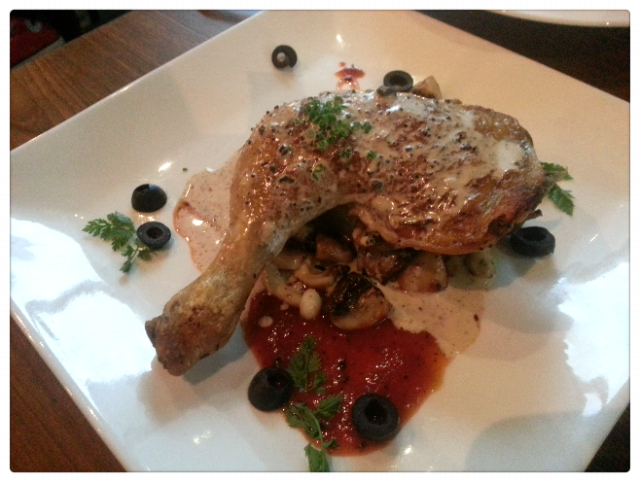 Fowl Luck is the grilled chicken thigh and drumstick with herbs and sides are baked potatoes and mushrooms, totally my kind of main. 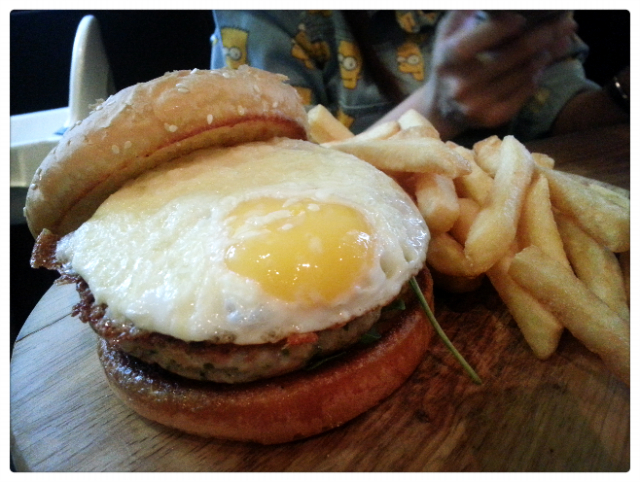 Peiyue's chicken burger looks so nice and the portion is too big for a girl that she only ate half of the bread. We chatted till the shop's closing time, that was a 5 hours++ of talking. I think we pretty much talked about anything and everything. 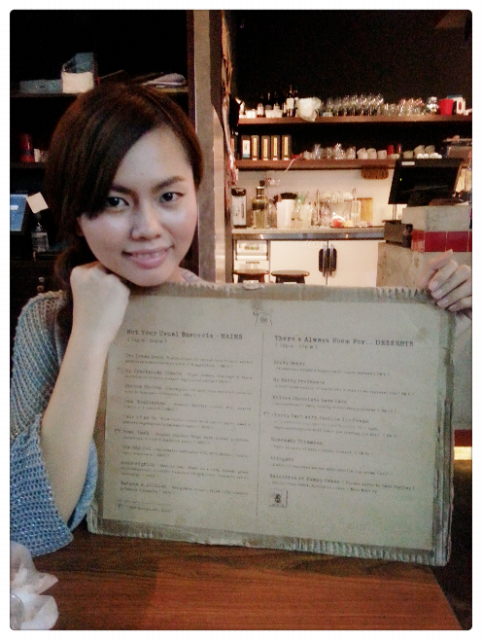 I can't really remember what's the pricing for each and every thing we ordered but the total sum of our bill was RM107+. Kinda pricey I think, but we definitely made the best out of it, girls talk for 5hours++ that worth way more than what we paid, don't you think so? Can't wait to try out new dining places with Peiyue again. Any good places you can recommend?